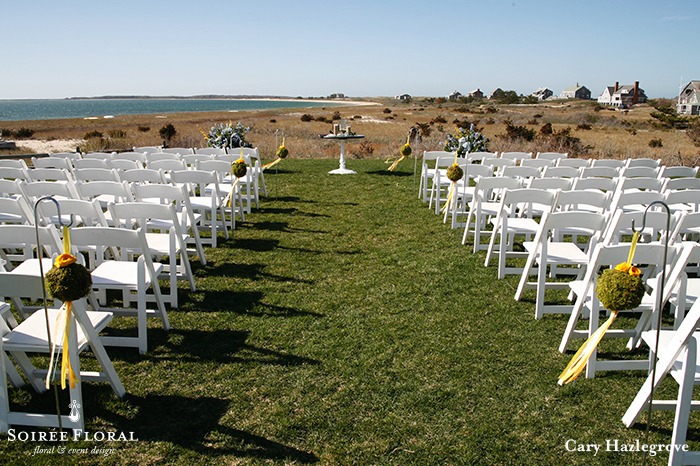 With it being spring, we added in pops of yellow for contrast at the ceremony with moss orbs hanging from shepherd's hooks with ribbon streamers for the aisle makers. 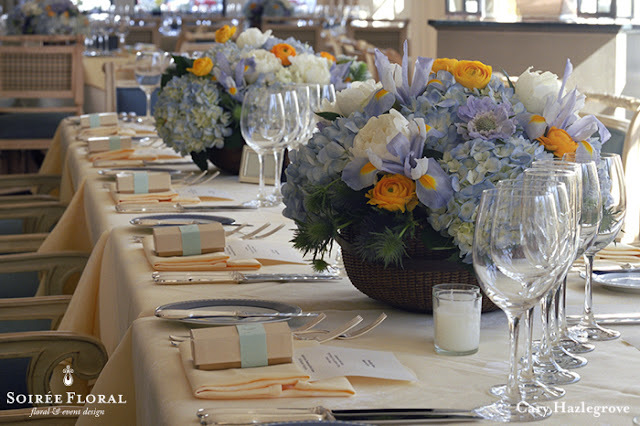 The texture of the Nantucket baskets on the tables added texture and a nod to our isle on the tables. 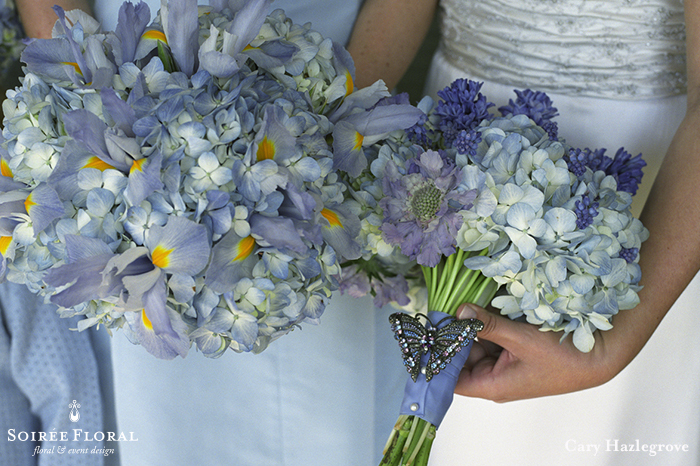 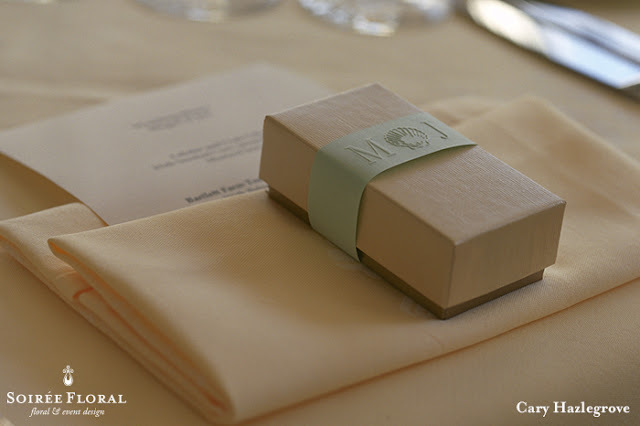 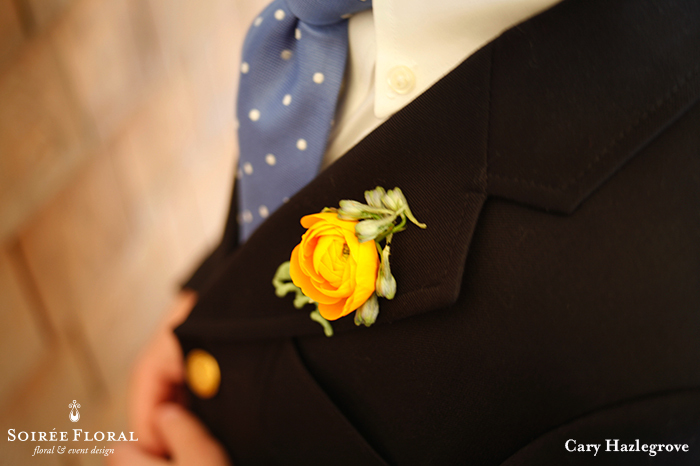 The bride had custom embossed labels made for her favors, which greeted each guest when they found their seat. 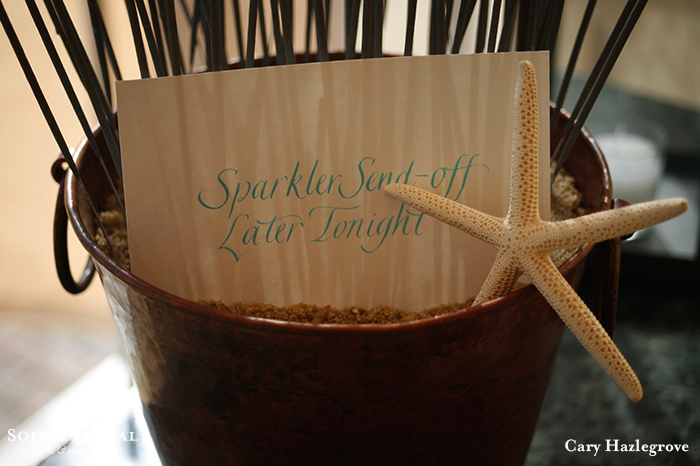 They ended the night as most Nantucket couples do - with a sparkler send off!